Hi everyone. My name is Amin. I am a Android smartphone developer at Push Interactions. We recently decided to start a new series our blog where we will introduce new smartphones, compare different devices and give you tons of useful hints about the world of smartphones. We have a lot of experience with many different phones, as we test our apps on all different types of devices. This series opens up a new perspective to the world of smartphones. We are still working on a tittle for our new series and will let you know what it is as soon as we can. As the first post in this series, I am going to give you some tips for choosing a new smartphone. Smartphone devices are handy devices that make our life easier. Nowadays, smartphones give users a lot of features; such as managing emails, setting appointments, playing music, tracking workouts and diet, etc., It is important to choose the right device based on your needs. It is hard to say which device is the best and we often need to consider a range of devices before making the final decision. In this blog post I will help you to narrow down your options and find the best fit. If you take a look other blogs or websites, you probably find tons of hints about how to choose a smartphone that each gives you numerous things to consider. In this blog, I will point to three most important steps you need to take to have your favorite smartphone in your hands. Although it looks silly at first, it is the first item in our To Do List. To answer this question, see how you are using your current phone, or if you don’t have one currently, make a list of your most important features you are expecting from a phone. Remember, don’t go too far with this list, otherwise you will find yourself delved in tons of options and it will make the selection harder. The secret in this step is to name three top features you cannot live without. 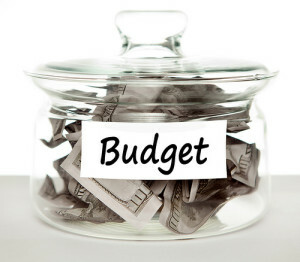 Budget is the next thing to keep in mind. 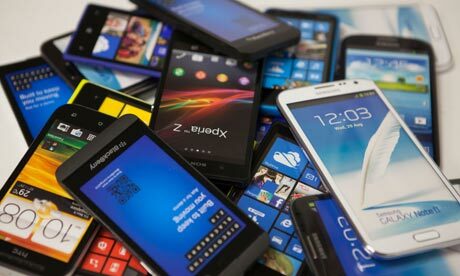 The cost of a smartphone plays a determining role in choosing the right smartphone. After this step, you have a notion of what range of devices you can go for. The budget of an smartphones includes the price of the device and the price of your plan. Different providers offer various deals and it is up to you to find which one you can afford. The secret behind this is to set the budget that you can pay at once when you buy the phone and the budget you can pay monthly to keep your plan. Operating systems of different smartphone can change users’ decision at any point of this process. Sometimes users choose an operating system regardless of previous steps just because they like it more. I cannot say it is a mistake. This is all about choosing your way of access to your most favorite features, so be cautious about this. You don’t want to be one of the people that change their phones later only because they hate their operating system. 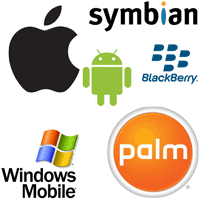 Four of the most common operating systems for smartphones today are iOS, which runs iPhones, Android system, Windows Mobile and Blackberry OS. The first noticeable thing about different platforms is the number of application that they provide to users. iOS and Android offers more that 1.2 million applications in their stores, while this number hits 300000 apps for Windows and 120000 apps for Blackberry in mid 2014. The other noticeable fact about a smartphone operating system is a unique user experience that each one offers users. You might want to stop by your local stores and play around with your two or three last options that are still remaining in your list to see which one is the best fit for you. In next blog posts I will give you more details about operating systems. I like your tip to establish a budget for your new smartphone purchase that you want to make. I think it’s especially important to come up with a budget like this before you start looking to help you narrow down the options. You will probably be able to find a phone that fits both your needs and your budget since there are so many phone options and providers to pick from today.